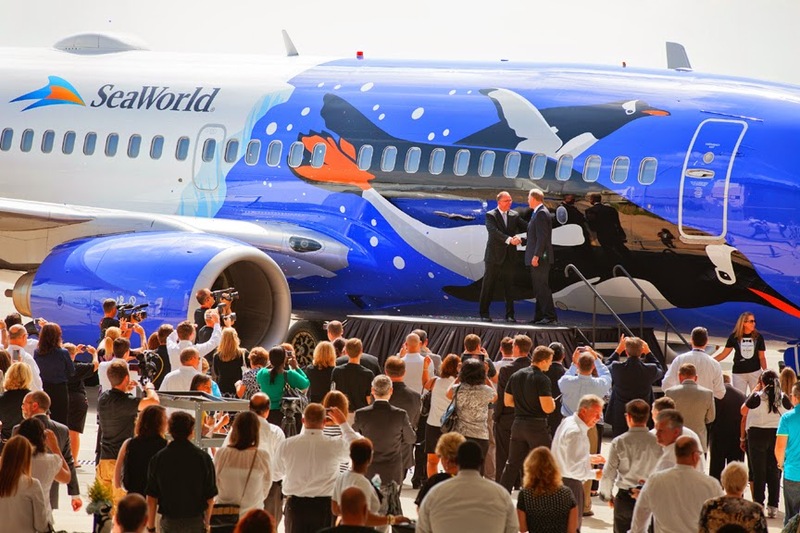 Southwest Airlines (NYSE:LUV) and SeaWorld announced July 31 that they have decided to end their 25-year-long marketing partnership. A joint statement posted on the airline’s web site and provided directly to TheTravelPro by SeaWorld said the parties have mutually decided not to renew their partnership when the contract expires at the end of the year. SeaWorld has parks in Orlando, Florida; San Antonio and San Diego. Southwest currently flies three airplanes that are decorated with images that advertise the relationship; those will be returned to the company's traditional livery when the partnership ends. The decision comes in the face of protests from animal welfare activists including Robin Merritt, who gathered more than 32,000 signatures to protest Southwest’s continued support of SeaWorld in the fact of the movie Blackfish, which explores what may have caused the killer whale Tilikum to kill SeaWorld trainer Dawn Brancheau in 2010.Merritt charged the documentary spotlights SeaWorld’s “inhumane practices” regarding Orca whales.